The splendid work of art and craft in Jammu and Kashmir makes it famous all over the world. Some kind of elegant art work is present almost in everything in Jammu and Kashmir, be it embroidery on the shawls, papier-mache and steel ware and wood work. The villages of Anantnag and Srinagar have been quite famous for enhancing the beauty of arts and craft of Jammu and Kashmir. They are world famous for carpets and wooden furniture. Along with it, the antique items include Shahtoosh Shawls and Pashmina shawls. Crewel ware, brass and silver ware are other interesting articles. Definitely, one of the most expensive and world renowned arts of Kashmir. 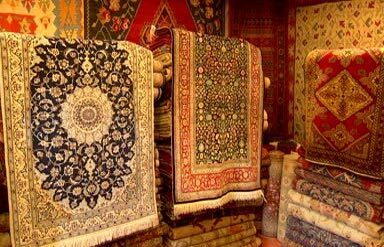 Originally, the art of making carpets started from Samarkand in Central Asia. Later, the process itself witnessed a tremendous growth with the artisans from Iran experimenting with the motifs and textures. Carpets from Kashmir are made of wool and even silk, are available in a large number of variety. These are made of willow rushes and this form of weaving can be used to make baskets or even lamp-shades. A little expensive, they can also be used as glass holders or picnic baskets. 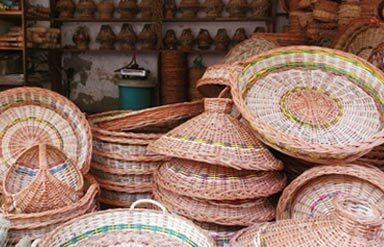 Hazratbal in Srinagar is known for basket weaving throughout India. The typical Kashmiri embroidery is known as Kasida and is famous all over the world. It is very exquisite in its execution and is very rich and elaborate in colour. Quite interestingly, this embroidery, which is often done on saris and shawls, does not have a wrong side to it. The fleecy wool obtained from the Kel goat is used for making the Pashmina Shawls in Kashmir. 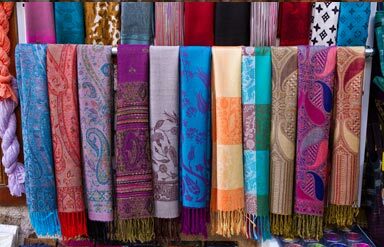 They are very famous, even at the international levels, and are locally called as ‘ring shawls.’ This is because they are so delicate and elegant, that they can easily pass from a ring, itself. A high value and elegant shawl has designs and motifs, equally embellished on both the sides. No matter how similar the papier mache articles look at the first glance, they have their own differences and originality. Three grades of paper are used for its designing. In the process of making it, paper is soaked in water till the time it disintegrates. Then an adhesive solution is used to mix it over, eventually moulding it into different shapes which are later coloured and varnished. Pure wool is used to for weaving it. It is one of the highly exported articles in arts and crafts of Jammu and Kashmir. This silk weaving further enhances the beauty of sericulture in Kashmir. Over the years, it has been a flourishing form of art and crafts in Kashmir. So, why wait? 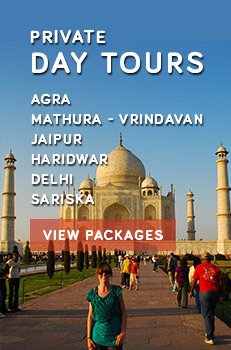 If you are an art connoisseur, just delve into exploring the richness of the arts and handicrafts of Jammu and Kashmir with our special packages.